This may sound cliche but, whatever, ho ho ho! Merry Christmas, everyone!!! *_* I'm sure we're all still on a high from the food and booze during our holiday and family gatherings. Indeed, Jesus' birthday is the most wonderful time of the year! Had three (3) bottles of this wine with my crazy family after our Christmas dinner! Our eve was filled with stories and laughter! Good thing I never lost composure when it was finally 12!!! 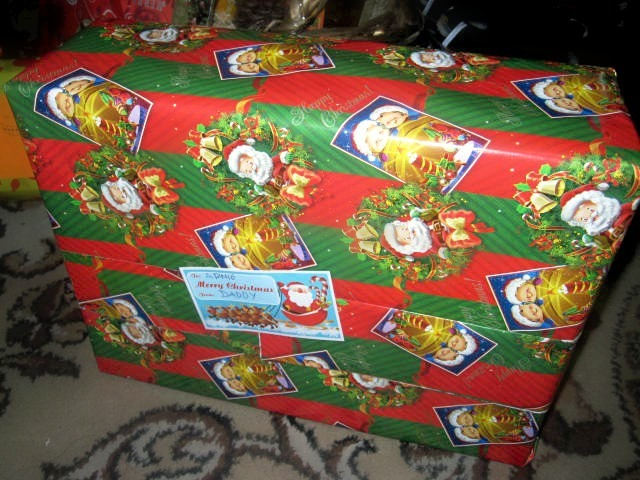 :) Time to open the gifts! 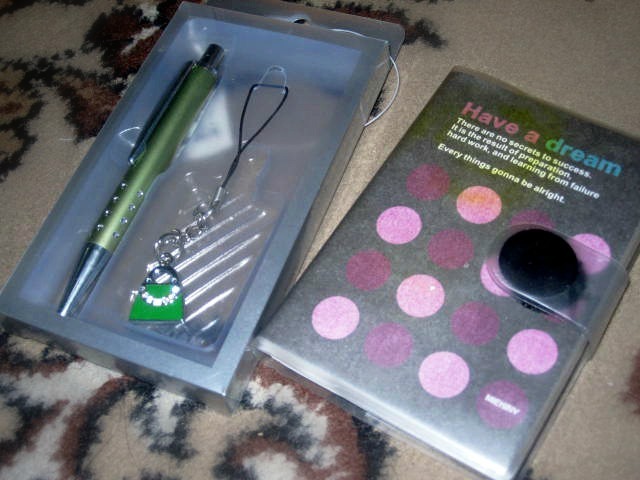 WHAT'S INSIDE: Green pen, cute bag chain and a small notebook! I shall follow the "Have A Dream" title of the notebook! 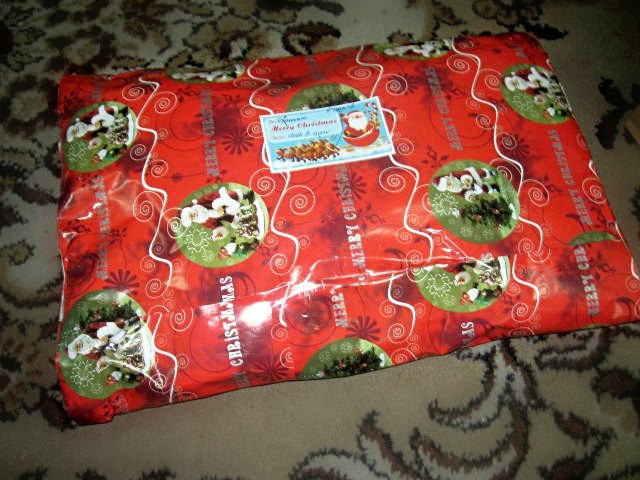 Second gift was from my loving Dad!!! 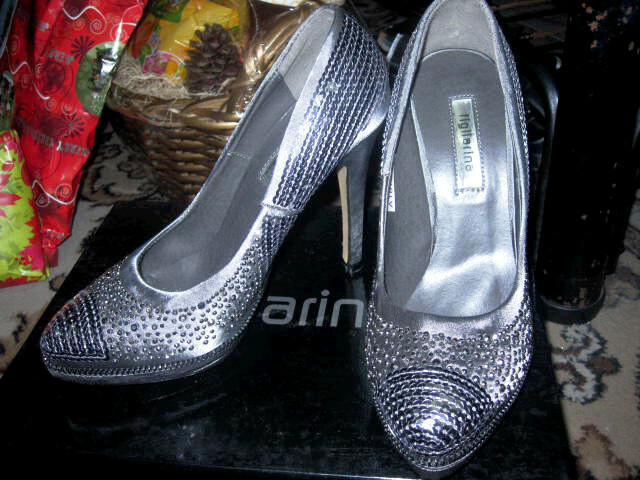 WHAT'S INSIDE: Studded and sequined Figliarina silver stilettos!!! Seriously, Dad, how'd you know my taste for shoes??? I love you forever! Next up was from my ever supportive and beautiful Mom! 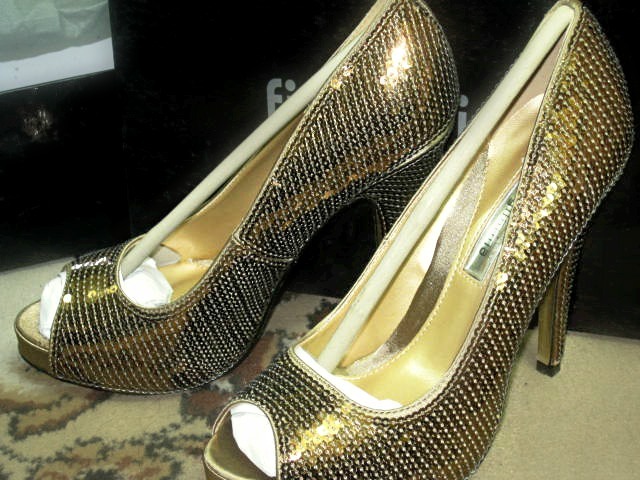 WHAT'S INSIDE: Sequined Figliarina gold peep toes!!!! I died for 3 seconds when I saw this! I'm so in love. Let me guess, Mom, you and Daddy bought these shoes at the same time. I love you forever!! From my best friend and real soul sister, Gia! 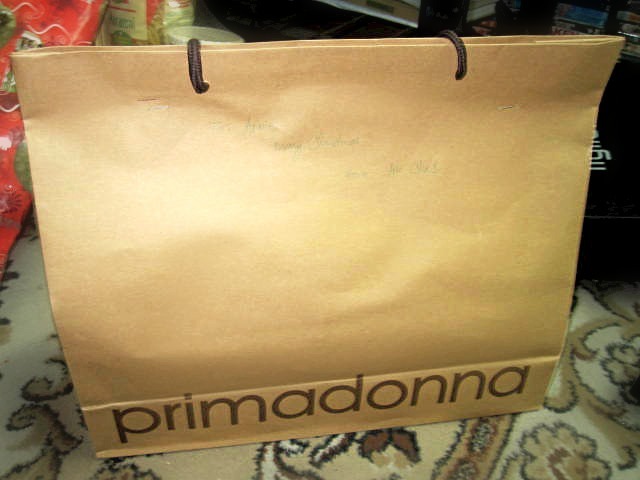 Totally ecstatic when I saw this Primadonna paper bag from Ate Charrie under our Christmas tree!!! 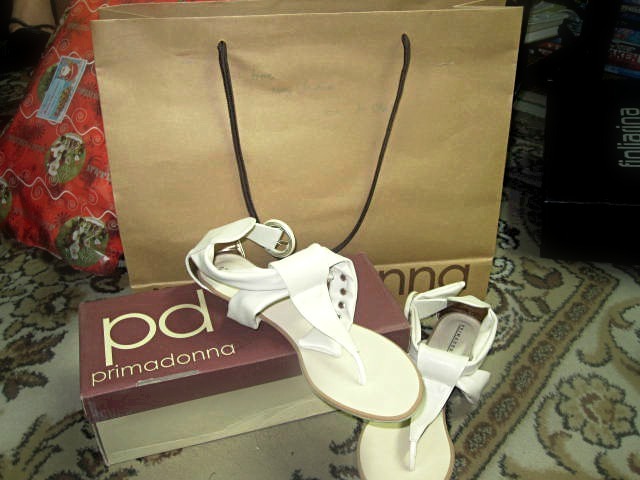 WHAT'S INSIDE: Cream flats from Primadonna. Shoes again!!!!!! It fits me perfectly, Ate Cha. Thank you! 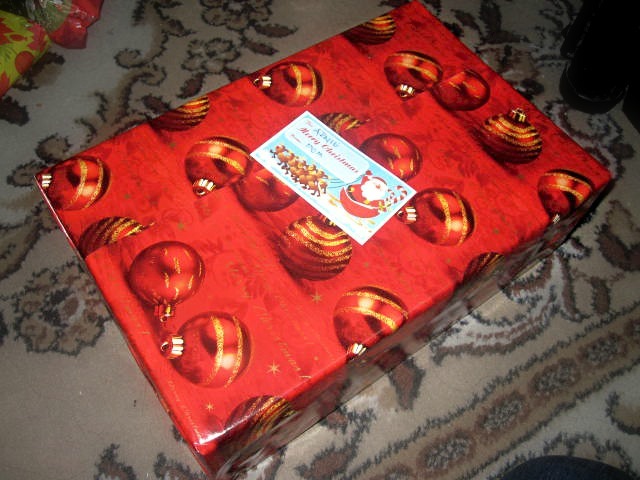 Failed to take a photo of what's inside this but it's from Tita Baby. She gave me a quirky pouch!!! 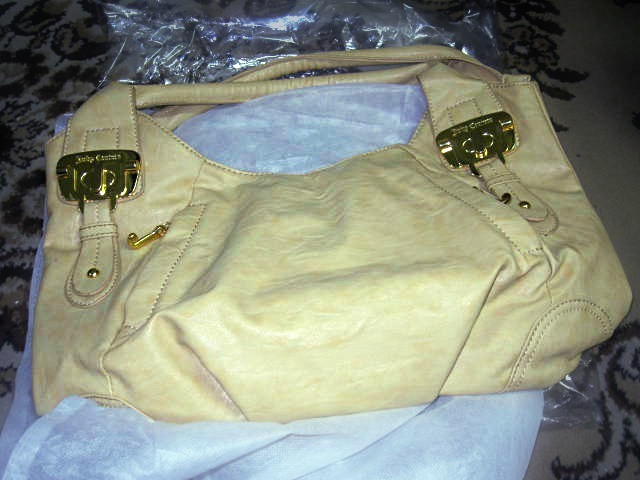 Thank you, tita! 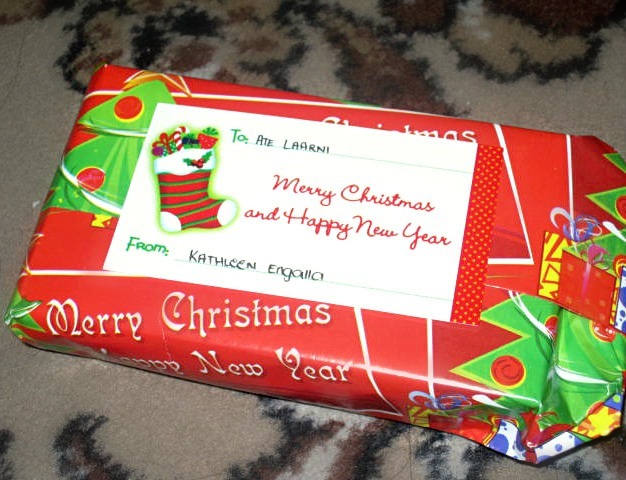 Gift from Ate Angel! I'm so glad she celebrated her Christmas with us. Hugs, Ate!!! 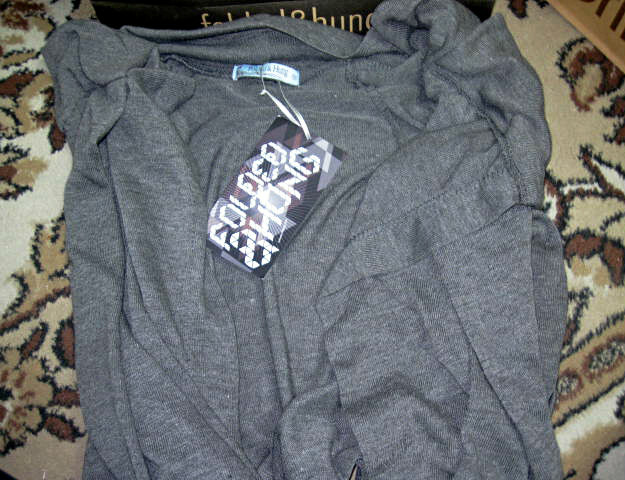 WHAT'S INSIDE: Folded & Hung grey drape. I'm going to use this as soon as possible!!! Lol thank you so much, Ate Angel! And of course, for all your wise words and tips about life. Can't wait for our Macau/Singapore trip for 2012!!! Last but definitely not the least is another gift from my parents. Perks of being an only child - I always get what I want! Happy kid!!! 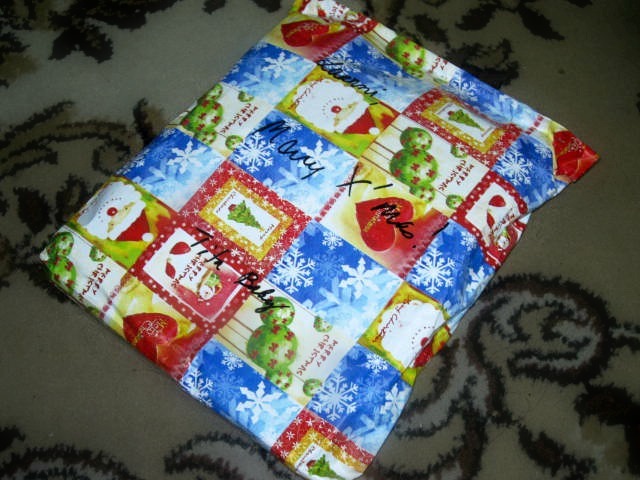 Done sharing the Christmas presents I received for this year! I thank the Lord for blessing me with these amazing people in my life, most especially, for giving us His only Son who is the main reason why we celebrate the 25th of December. So how was your Christmas, loveys? Let me know please!!! Happy holidays! @Gie, haha no need to get inggit! I'm sure bongga rin Christmas gifts for you! :) Mwa!! 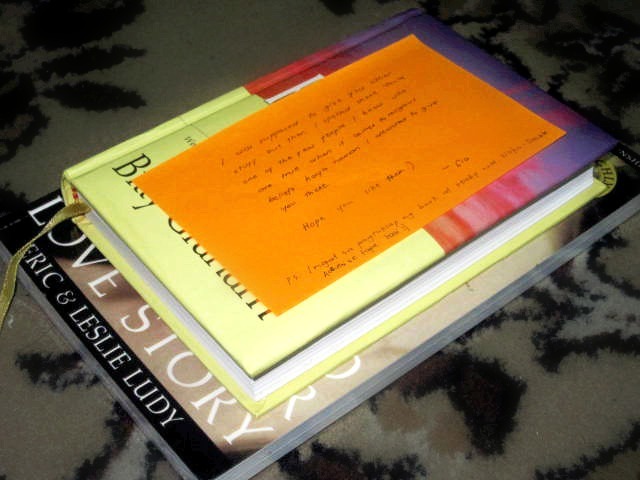 @Katherine, awww swear thank you for your continuous support in my blog. :) In time you'll get whatever you want. Ako naman I always wonder how it feels like to have siblings! @Myrted, kaguley ng bongga when I saw all these!! 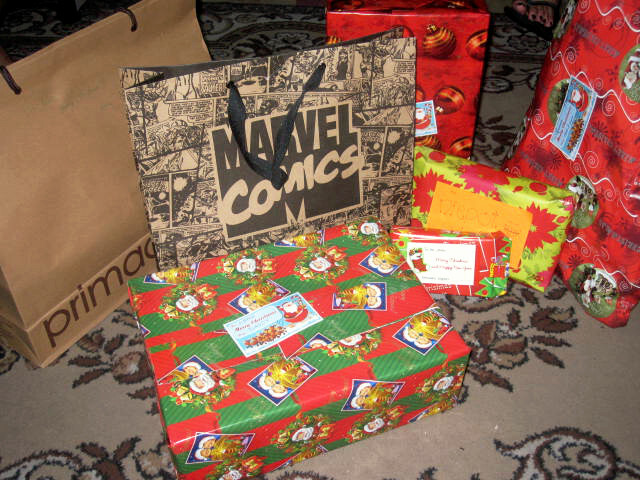 Didn't expect anything kasi I felt so old for Christmas gifts. :-S Merry Christmas to you, love!!! @Rhea, awwww sweet!! Glad you liked them, Rhea!!! ♥♥ Merry Christmas! 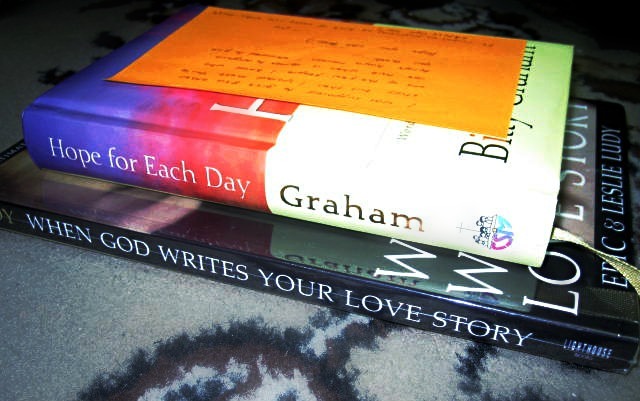 Lovely gifts! :) We both got primadonna shoes for christmas! @Carla, I know right?? I fell in love with it right away!! ♥♥ Merry Christmas, love! @Ava, thank you so much!!! 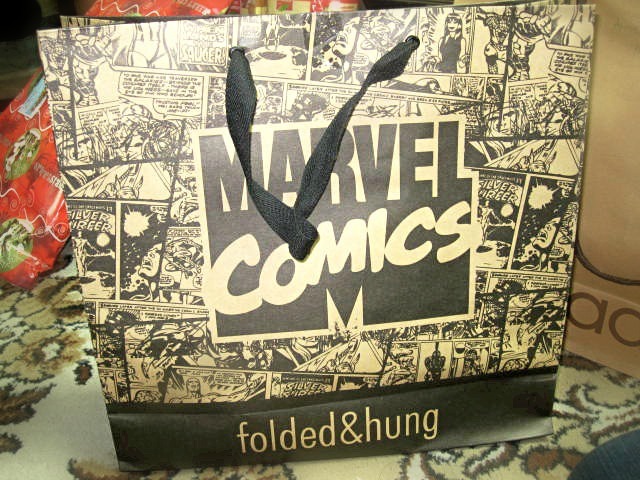 ♥ I'm pretty sure you got bonggang gifts as well. Yay for Primadonna! Wow! You're so lucky! 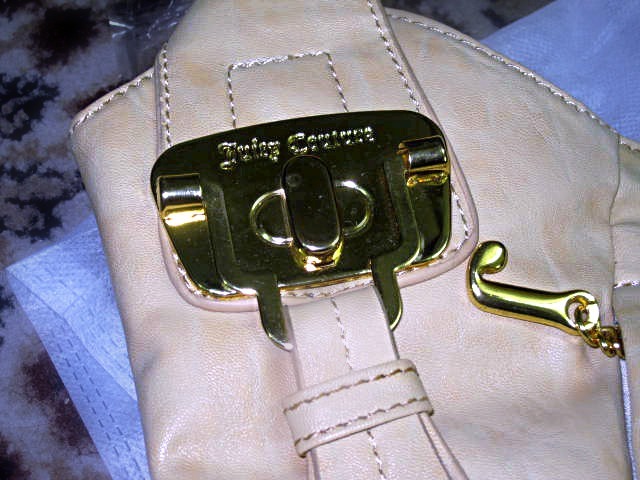 =) Your parents have a great taste. 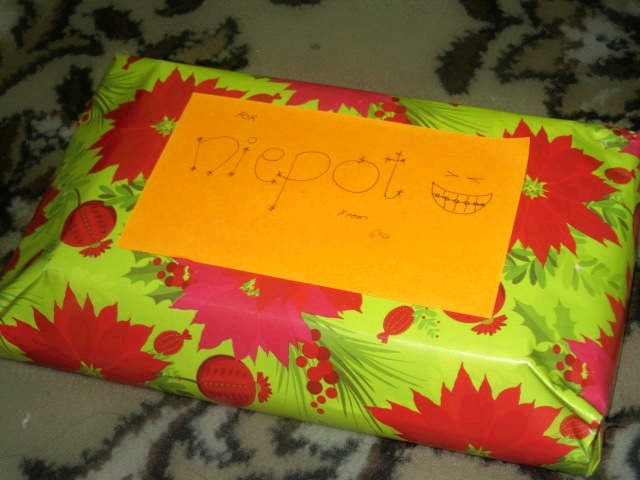 Manang mana ka talaga.. =) MERRY CHRISTMAS! @Krystal, yay thank you, thank you!! :) They really have great taste! Kaaliw. Haha Merry Christmas, too!!! Lucky you are! :) New shoesss. Merry Christmas! @Rizza, true!!! :-S It was so damn hard! I just saw your blog and I really like it especially your outfit posts.. wishing you a more blessed year and happy holidays..